The online version of this article (doi: 10.1007/s00122-012-1999-z) contains supplementary material, which is available to authorized users. The authors wish to thank Lucy M. Díaz and Carolina Chavarro for DNA extraction and technical work, as well as Agobardo Hoyos and Alcides Hincapie for seed multiplication and greenhouse management. 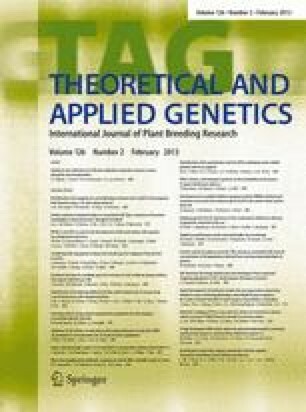 This research was part of the Tropical Legume project (to MWB as PI for common beans and DRC as PI for comparative legume genomics). Additional funding was from the US National Science Foundation award DBI 0605251 (to DRC).